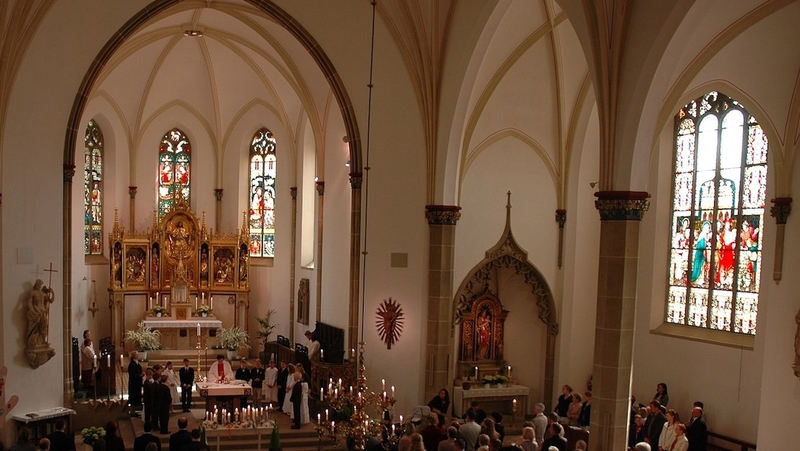 There were several reported incidents of vandalism in and around St.-Johannes-Kirche in Bösensell in late March and early April. A windowpane was smashed and wax was poured on the altar and on the sanctuary (chancel) lamp. Lightning rods were torn from the facade of the church, and tools were used to try to break into the Poor Clares donation box. Brochures, prayer books, and tea lights were scattered around the church, including in the holy water basin. Glass bottles containing holy water were smashed to pieces. Despite frustration and sorrow over the incidents, the parish delayed filing a complaint to give the group of adolescents suspected of the crimes an opportunity to apologize. If a letter of apology is not received by April 15th, the parish will file a complaint.